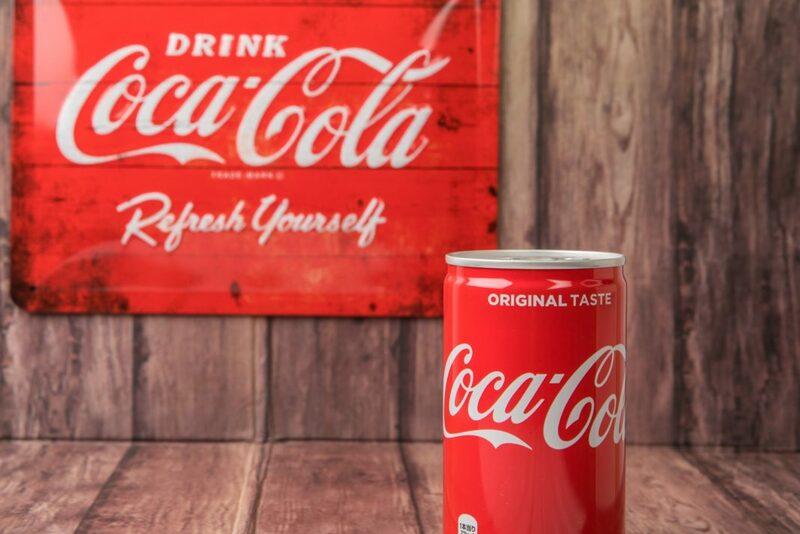 9 Uncommon Uses for Coca-Cola Coke - Do They Actually Work? 9 Uncommon Uses for Coca-Cola Coke – Which of Them Actually Work? Since I enjoy using discount grocery coupons, I usually end up with a surplus of Coca-Cola in my home. While I’m usually brand-blind when it comes to carbonated beverages and usually buy generics, some would argue that Coca-Cola is the ultimate brand. And since I live in Atlanta, it’s basically a sin to buy anything other than Coke. I get it at a decent price, and it is by far my husband’s favorite beverage, so I stock up when I see deals. But I don’t drink a lot of soda, so I’m in search of some practical uses for Coca-Cola so I can get a little more value out of my purchase. You’ve probably seen the popular email that lists the crazy things that you can do with Coke, like dissolve a T-bone steak in just four days. I’m not really sure why anyone would want to do that, but plenty of the other tips on the list look very useful, if they really work. Coke’s a lot cheaper than a lot of cleaners and other home remedies, so these tips could be money-savers too. To save you the time and expense of experimenting and learning which ideas are flops and which are not, I put some of these so-called uses for Coke to the test. I was the most excited about this possibility, simply because I have stick-straight hair that even a curling iron can’t curl. So before washing my hair, I drenched it with two cans of flat Coke. I let it sit for a few minutes, then I washed my hair. While drying my hair with a towel, I tried to crunch my hair to get it curly. At first, it looked like this method of curling my hair might actually work! But by the time my hair started to air-dry, the kinks were all gone. I have this shirt that has had a grease stain on it for over a year. I love this shirt. It’s my Florida Gator polo shirt that I used to wear on game days, and I want my lucky shirt back. I’ve tried many different laundry detergent and cleaning products to get it out, but nothing has worked. I wasn’t too thrilled about pouring a can of Coke on my shirt because I thought if anything, I’d have a Coke stain and a grease stain, but at this point, I had nothing to lose. To my surprise, it actually worked! I poured Coke right on top of the stain and let it soak. I immediately noticed that the grease stain was slightly discolored. Then I threw the shirt in the wash, and it came out clean. Game day shirt is back! I was hoping this test would go as well as the grease stain experiment, but I had no such luck. I followed the same process, but the blood stain remains. I recommend using homemade laundry detergent instead. Grout is tough to clean, and Coke could have been a surprisingly big help on a stubborn stain in the grout in our laundry room. I poured some Coke on the spot and left it there for about ten minutes. When I wiped it up, the stain was still there, but luckily, I had no problems wiping up the Coke. Perhaps this one works differently depending on the stain and if there is sealer on the grout. Coke-lovers of the world, hate me if you must, but I just poured a can of Coke down the toilet. Literally. I poured the contents of the can in, and I let it sit there for an hour. The toilet now looks clean, but I’m not convinced that germs and grime are really gone. I think I’ll stick with my other homemade household cleaners, like vinegar and baking soda. I need to wait a little longer for final results on this one, but I’m intrigued by the idea that Coca-Cola can perk up gardenias. I have two gardenia bushes in my backyard that look as though they could use a little life in them, so I decided to give it a try. It has been a few days, and nothing has happened yet. I’m not going to get my hopes up, but maybe I’ll see a change after a little more time. Anyone have a guess on what the result will be? I get quite a lot of use out of my peculator. I love to make gourmet coffee drink recipes at home in addition to my regular cup of joe every morning. With all that use, I have a bit of a build up in the pot, so I poured in a can of Coke and let it sit for 24 hours to see if it would clean off the residue. While it did clean out the pot a little bit, it did not work as well as I was hoping it would. After several days of experimenting with Coke, I finally found my favorite use – cooking a Coke Roast. It is very simple and delicious and is a great Crock-Pot slow cooker recipe as well. Put a three-pound roast in your slow cooker, and pour a packet of onion recipe soup and dip mix and two cans of Coke over the meat. Let it cook on low in the crock-pot for about 8 hours. Enjoy! While I was very impressed that Coca-Cola did get out grease stains from a shirt and gum from my hair, I was disappointed that it did not clean up my grout or coffee pot. And I am not sure that my husband appreciated me pouring perfectly drinkable cans of Coke down the toilet and into the yard. Perhaps the best way to enjoy a Coke is to simply drink it. Have you ever used Coke for anything other than for drinking?